Marvellous and unusual—La Candela quickly rose to international reputation as a dedicated force of the Cuban repertoire. 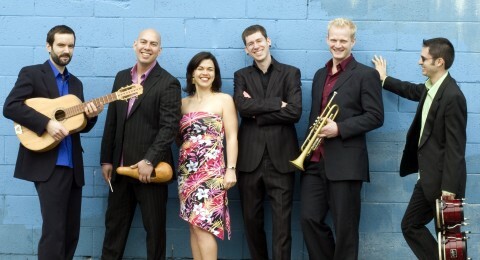 Their signature west coast Cuban sound is inspired by the rich traditions of La Gran Isla, and no less informed by the sights, sounds and openness of their East Van community. From Haida Gwaii to California to the Midwest, La Candela has been winning fans since its inception in 2001 by bassist Mark Beaty and pianist Cary Garcia. Always a hit with the salseros, the band’s rhythmical sophistication and infectious playing bring the most adamant lawn chair devotees to their feet. With rich brass, gorgeous piano and poppin’ bass, congas, timbales and vocal harmony all-around, this micro salsa orchestra plays hard and hits like a locomotora.